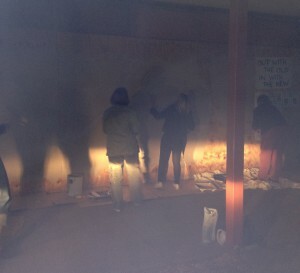 As part of Spring Arts 2012 some Arts Council committee bandits sneaked out at night and painted the hoarding on the old Ski Inn development site and turned it into a community blackboard. The Mansfield community and visitors loved it! !